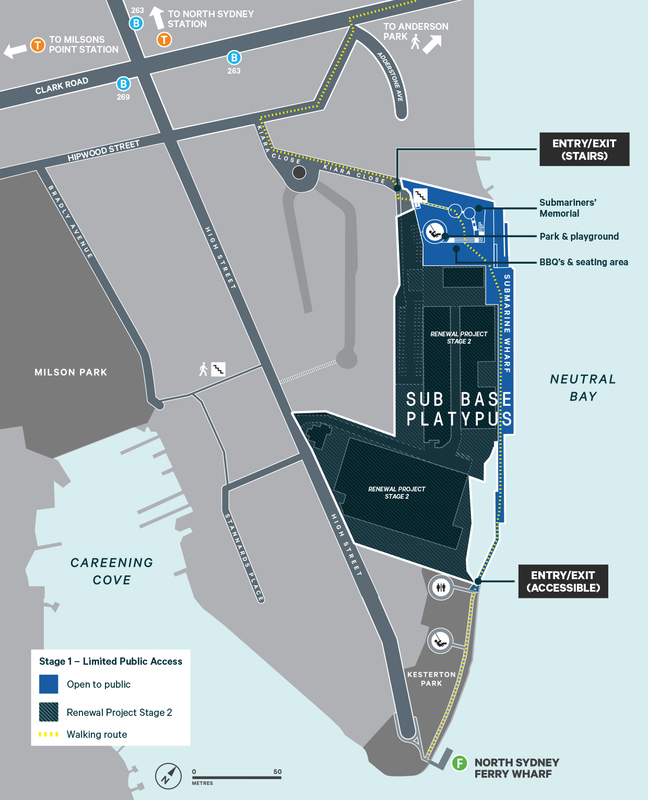 North Sydney Ferry Wharf is just 250 metres from the High Street Entrance to Platypus, offering convenience and speedy travel times to Circular Quay on the F5 ferry service via Kirribilli, Kurraba Point and Neutral Bay. Both North Sydney and Milsons Point train stations are less than a kilometre’s walk from Platypus. Buses run every 20 minutes within 500 metres of Platypus along Clark Road. The weekday 269 Bus from McMahons Point to Kirribilli connects with Milsons Point Train Station, and the daily 263 Bus from Cammeray connects to the Sydney CBD. Visit transportnsw.info for the latest timetables.